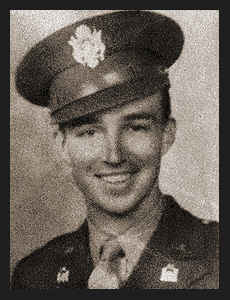 1st Lt. Lois W. Ozier, Jr., son of Mr. and Mrs. L.W. Ozier, Sr., graduated from Chickasha High School and Cameron College; husband of the former Mary Virginia Grantham. Entered Army in Aug., 1942, trained in Ft. Leonard Wood, Mo. ; served in England, France, Belgium, Germany and Austria where he is now on duty. Awarded EAME Ribbon with five Battle Stars. (per original 1940's write-up).